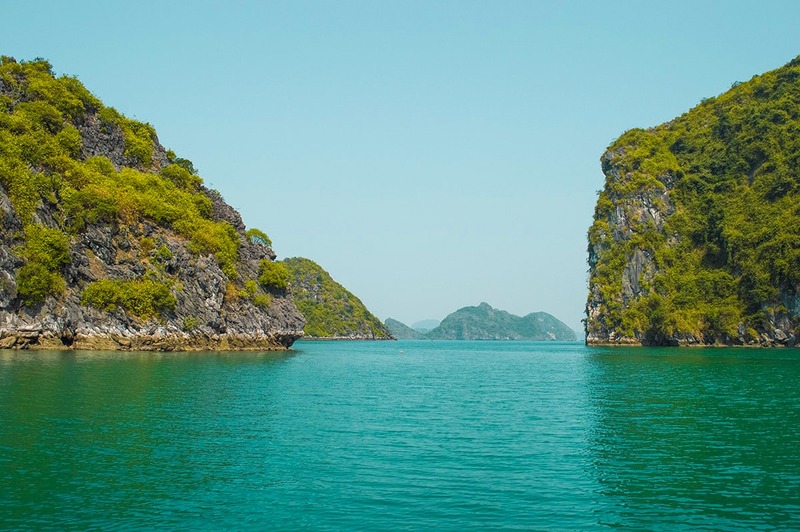 One of the most popular things to do when in Hanoi is taking a tour of Ha Long Bay. This amazing UNESCO World Heritage Site is no doubt one of the top experiences to do when in Vietnam and leaves visitors breathless. 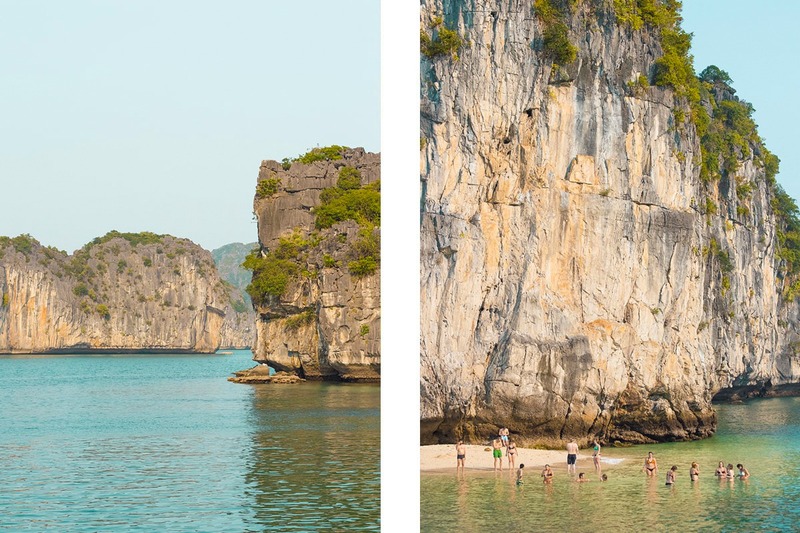 Though, problem is, there are so many options to explore Ha Long Bay. They range in price from the horribly cheap ‘I am not sure how this boat is floating’ type to the luxury junk boat cruise with a six course dinner included. 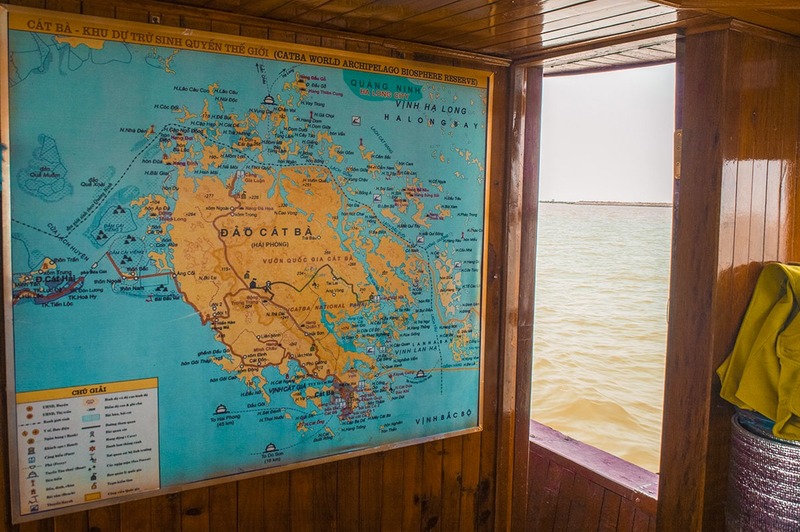 From the moment you arrive in Hanoi you will constantly be asked if you have booked your Ha Long Bay cruise yet. The amount of options seem endless and all the tour agencies which line the streets in the old quarter each seem to be selling a different one. Well, being quite tight on a budget and having splurged on mac and cheese the previous night I decided to check out my options online. 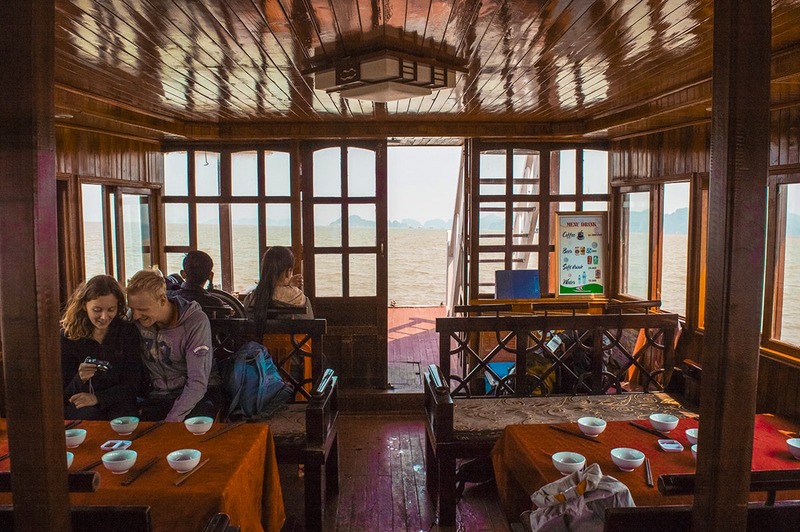 It seemed the main backpacker Ha Long Bay cruises were either with Ocean Tours or with Vietnam Backpacker Hostels. 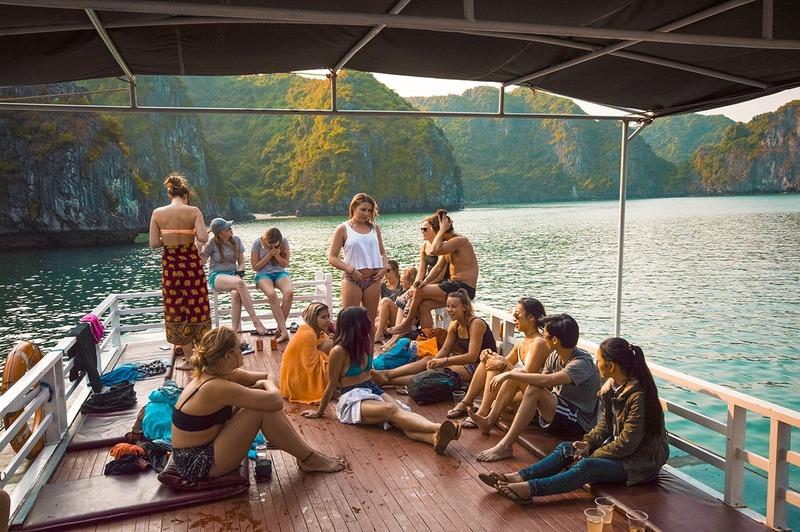 Though, through my research I came to find out the Vietnam Backpacker Hostels tour of Ha Long Bay was more of a booze cruise, with everyone getting obliterated, vomiting and getting down with it on the beach. I may be a backpacker, but that is certainly not my scene. 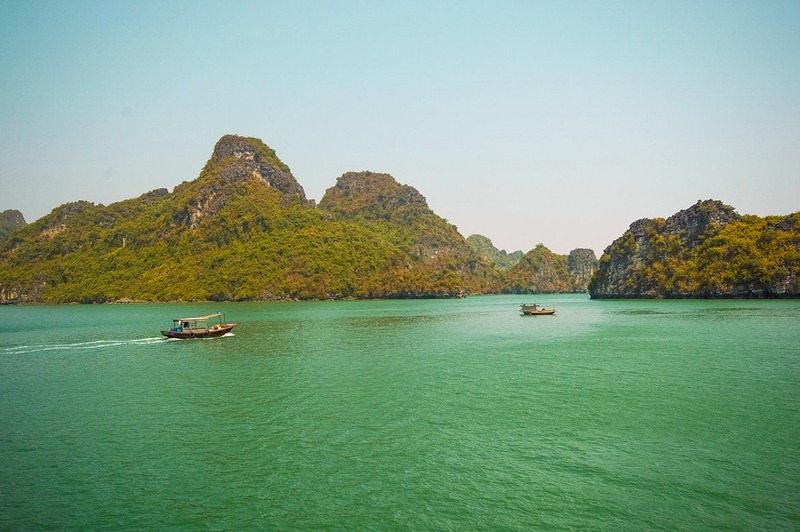 Alternatively, I decided to book my Ha Long Bay on a budget adventure with Ocean Tours. 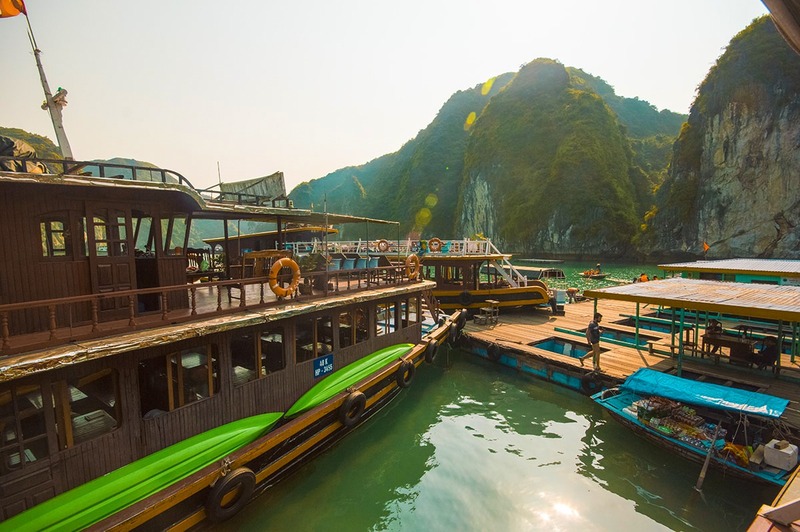 They have two options, a Ha Long Bay Cocktail Cruise or a Ha Long Bay Adventure Cruise. 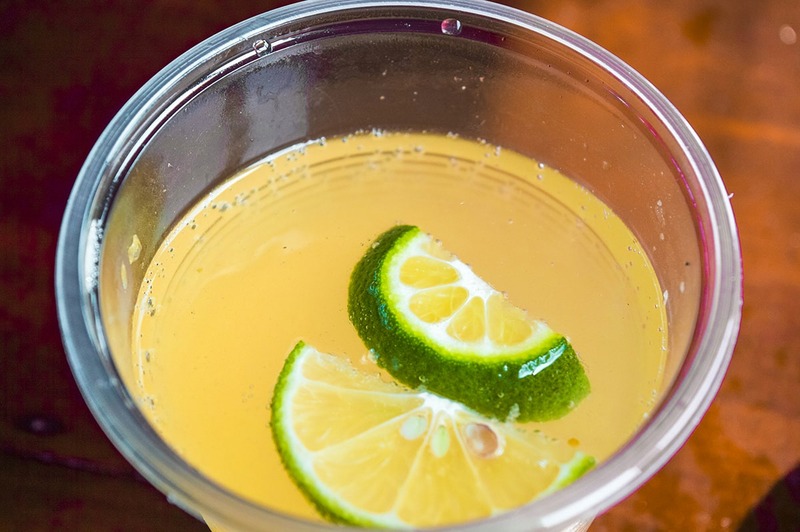 I decided to go with the cocktail cruise option, as in contrast to the name, a lot of reviews seemed that this wasn’t a booze cruise, more just a few chill drinks and relaxing vibes. 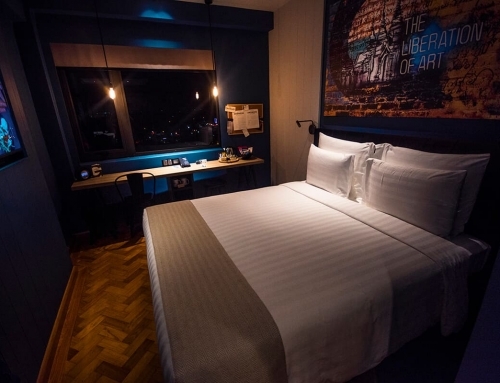 I felt I would get the most value for money, and having found a promo code online, a managed to book a three day, two night excursion for $115.00. Though, looking now that promo code seems to be invalid. 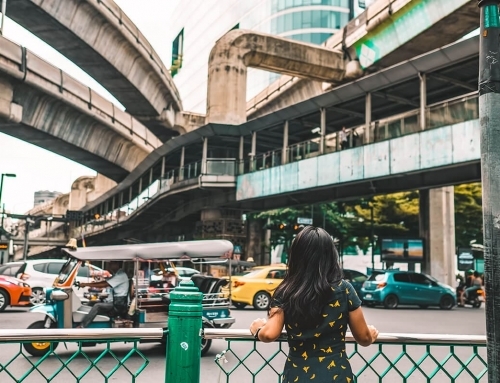 Alternatively, if you are staying at Chien Hostel or Hanoi Rocks Hostel they generally do a special deal if you book directly through them (a free nights stay or a free meal). 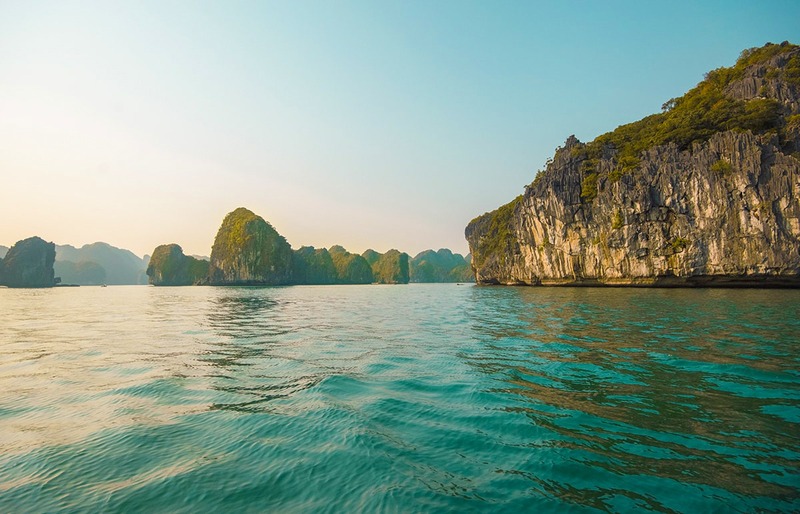 Otherwise check out Halong Hub for many online details on a variety of cruise options. Checking out the current prices online it seems to cost $99.00 for a two day, one night cocktail cruise or $149.00 for the three day, two night cocktail cruise. 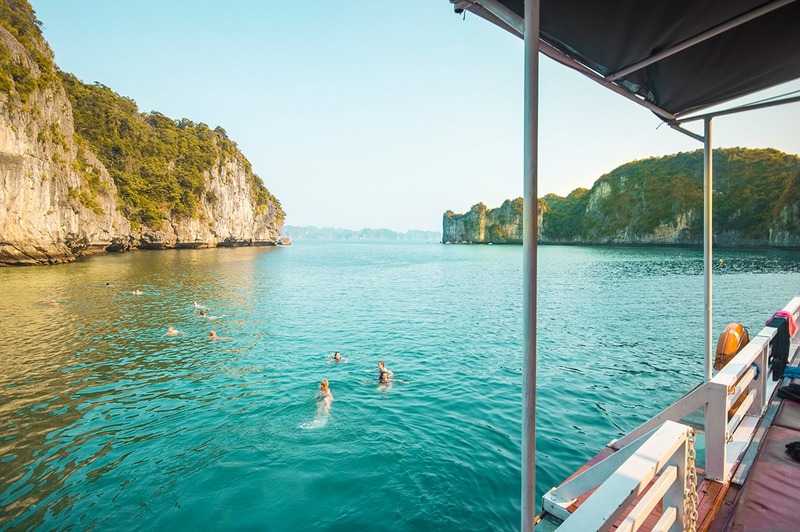 The main difference between booking with the Ocean Tours cocktail cruise and other tours to Ha Long Bay is the accommodation options. 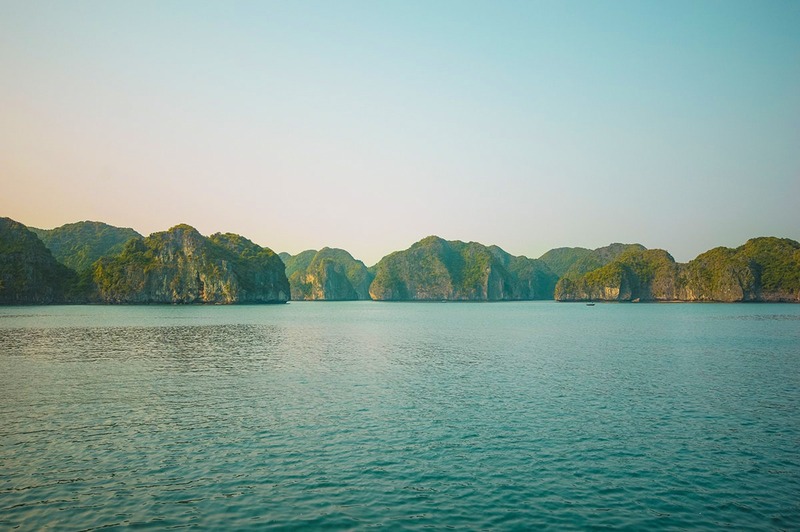 One of the main appeals with many other cruise providers is that they provide the opportunity to sleep in Ha Long Bay. These boats have separate cabins, allowing you to fall asleep to the motion of the ocean and wake up to the sound of waves. 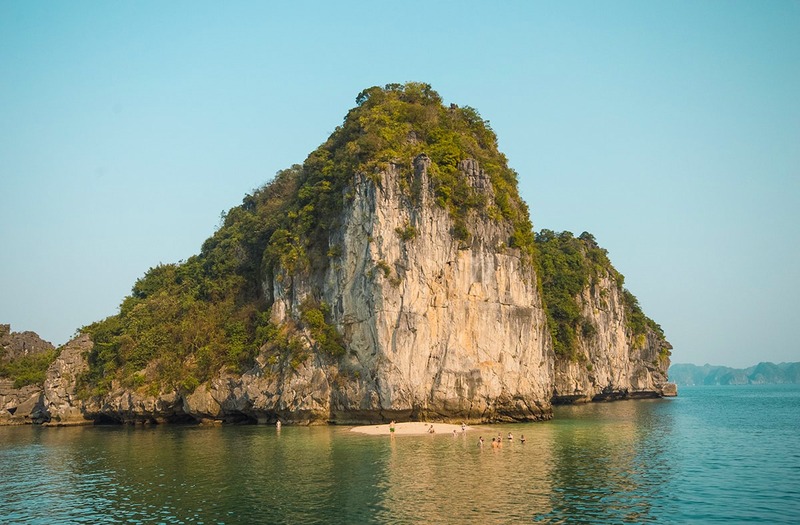 Instead, Ocean Tours has their own island, Cat Ong Island within the Ha Long Bay/ Lan Ha Bay area, opposite Cat Ba Island. 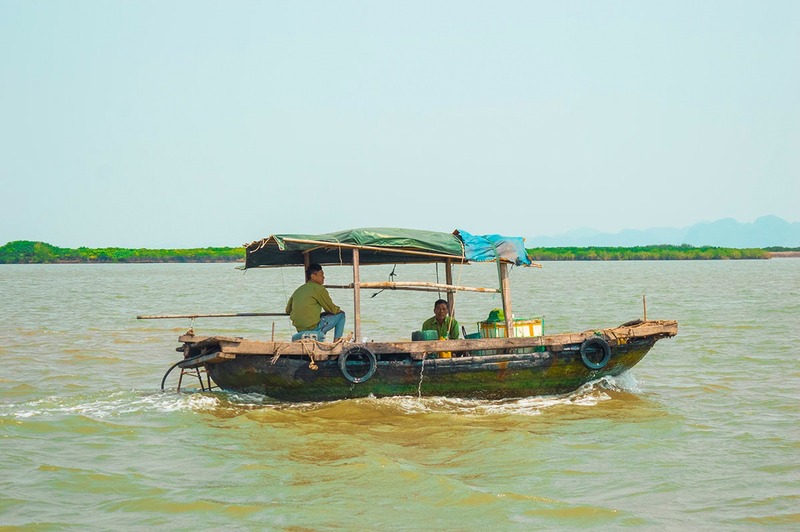 I had heard horror stories about junk boats and the type of accommodation they provide so knowing that I would be sleeping in a bed on land was of great relief. Also knowing that we would have a private beach to ourselves was another bonus. 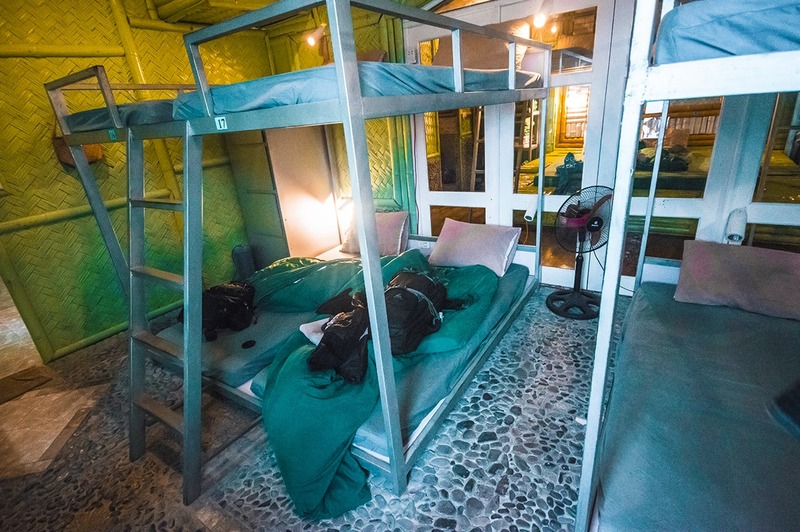 We stayed at Chien Hostel in Hanoi and this place was amazing. For only $5.00 a night we slept in a very modern dorm room. There was an amazing rooftop view with an amazing buffet breakfast spread included every morning. The staff here are super helpful and there are free drinks every night for anyone interested. Since Chien Hostel sells the Ha Long Bay cocktail cruise tour we were picked up right at our accommodation. A chirpy English Bloke called Nick bursts into the hostel with a massive smile and dreadlocks pointing every direction. He would be our tour guide for the next three days. We jump on the bus and drive for the next three and a half hours to HaiPhong. This is where we leave the comfort of the bus and are squished into a speed boat to take us to our final stop. The speed boat is an experience of its own, legit like sardines in a can. Though, luckily it only lasts forty minutes where we stop at Caiveing. Waiting for us in Caiveing is a beautiful red junk boat which we would be chilling on for the next six hours while exploring Ha Long Bay and La Ha Bay. Table are set up along each side of the boat where we grab a seat and meet our new boat mates. A quick introduction is given and we are shown our sailing route on a map. Its amazing how far the Ocean Bay Tour takes you compared with other tour companies. 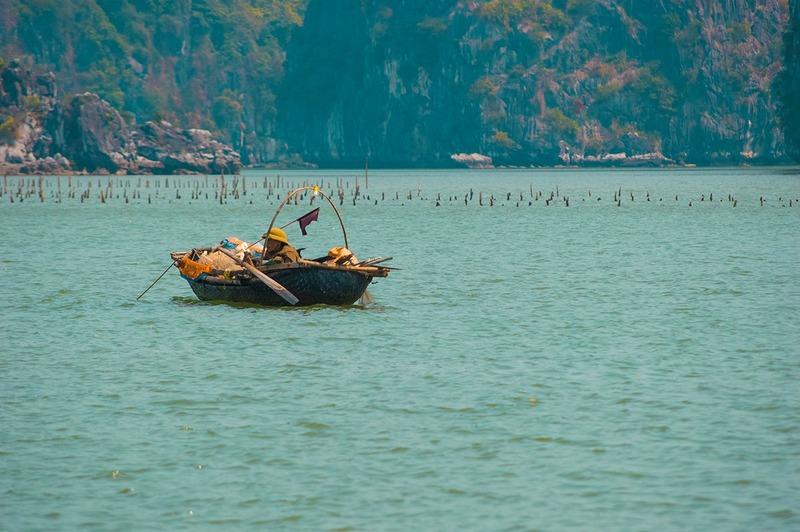 They usually just stay in one small area of Ha Long Bay. Oh and we are given cocktails, as no cocktail cruise can begin without drinks. Though, it is a lot too strong for my liking and I give it up to another member of the group. The interior of the boat is wood, as well as all the furniture on board. The back of the boat open right up, with no rails and one hundred and eighty degree views. On the second story is a large lounging area, perfect for sunbathing. Chilling out and enjoying the views we watch fisherman speed past in their little boats which look like they are barely holding together. The beautiful limestone karsts which shoot out of the ocean are stunning, especially against the blue water. Soon lunch is ready and we all sit down at our tables while the most delicious spread is laid down in front of us. 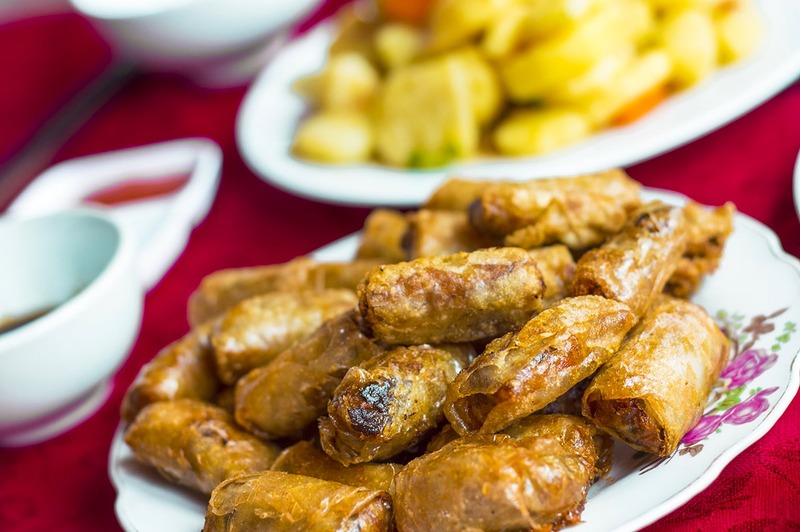 The freshest seafood, spring rolls, omelet and more. With fresh chili and soy sauce everyone digs in. Being vegetarian I get a little extra tofu as well, and I must admit no one cooks tofu better than the Vietnamese! Unfortunately, this is my first experience using chop sticks. I tried to learn a little bit previously in Laos, though I kind of failed, so now I am here looking like a dork. You cant swim thirty minutes after eating, but no one ever said you cant kayak thirty minutes after eating. Once lunch is over and feeling full we pull into a beautiful lagoon. Here there is a building floating on top of a pontoon. The tall limestone karsts rise up tall all around us and the boats look so small in comparison. We get off the boat and onto a raft walkway which looks like it is barely being held together. Kayaks are placed in the water. In groups of two we jump in them and paddle further into the bay. Once we get the correct rhythm it is time to head through the light and dark cave to the most beautiful untouched lagoon. Apart from the splash of the kayak, it is completely silent. A stark contrast to the bustling and crazy city of Hanoi. 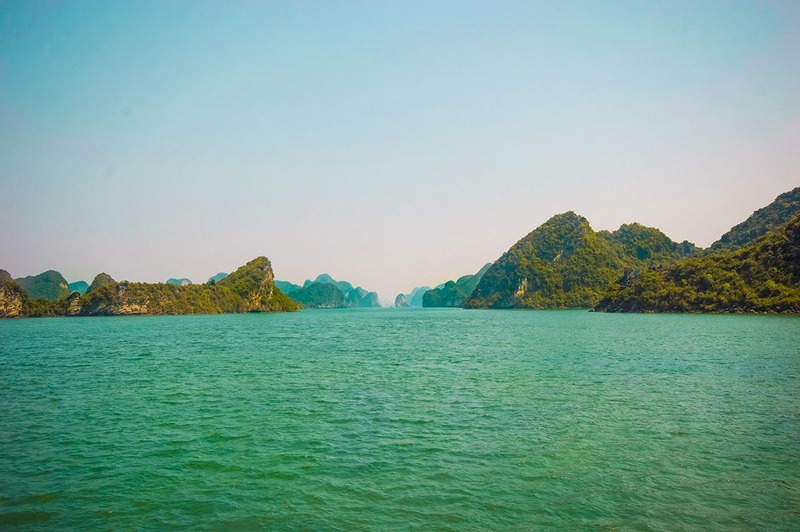 Surrounding us is the natural beauty of Ha Long Bay, with lush green trees and amazing coral beneath. 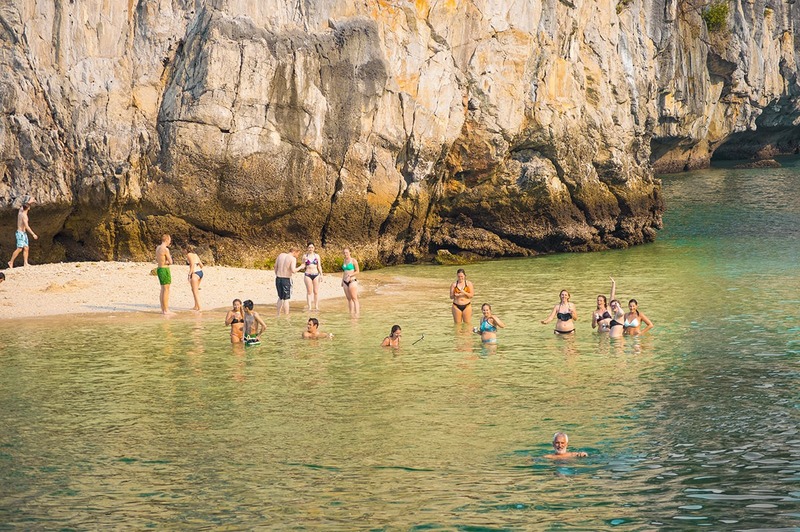 Who knew there is coral in Ha Long Bay?! After enjoying the serenity and appreciating the peace and quiet, it is time to head back to the boat. The water is too cold and luckily no one falls in. Our guide Nick told us horror stories of people getting coral cuts here. We moor up the kayaks and jump back onto our cocktail cruise junk boat just as another tour group pulls up in their boat. After the kayaking we chill out and sunbathe on the roof of the boat. Getting to know each other and sharing our adventures. To our surprise there are three other kiwis on board. So far, throughout all our travels in Asia, we were yet to meet another New Zealander. Then suddenly all them have appeared at once. Arriving in Lan Ha Bay the boat stops and we get in for a swim. I personally don’t brave the cold, but the majority of others do. The water here is a lot cleaner than in Ha Long Bay. I am guessing because there is less boat traffic, which vastly improves the conditions the clarity and color. People jump off the top of the boat catching free beers on the way down. A small sandy island underneath a tall lime karst provides some relief from the chilly waters. It allows the swimmers to get out and enjoy the sunshine. With the temperature dropping and the sun beginning to lower in the horizon everybody climbs back onto the boat. Its time to head to Cat Ong Island. This is where we will be spending the next two nights among all the beauty of this area. On Cat Ong Island a rock jetty greets us in the ocean as we depart from the junk boat. We are all astonished by how amazing this place is. I honestly wasn’t too sure what to expect, but a massive building overlooking the ocean was certainly not it. 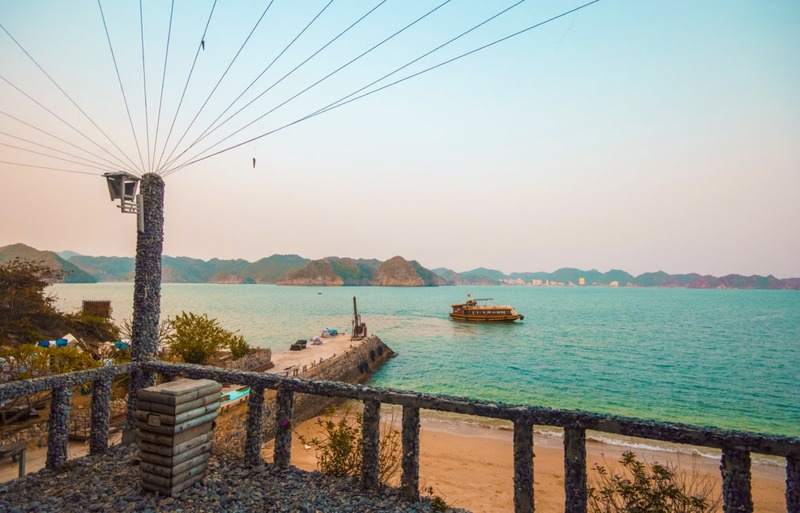 The whole place is a masterpiece, with views to the sparkling lights of Cat Ba Island town in the distance. Cat Ong Island is for sure paradise and we have the it all to ourselves. 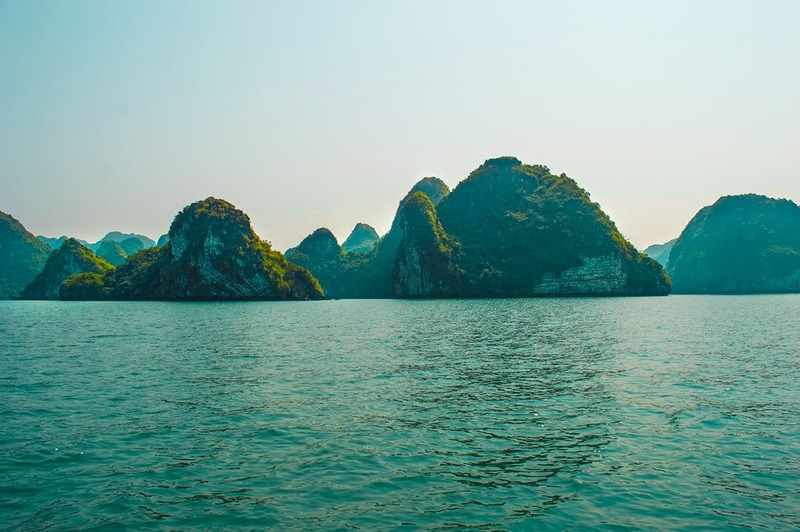 This is part one of my Ha Long Bay experience with Ocean Tours in Vietnam. 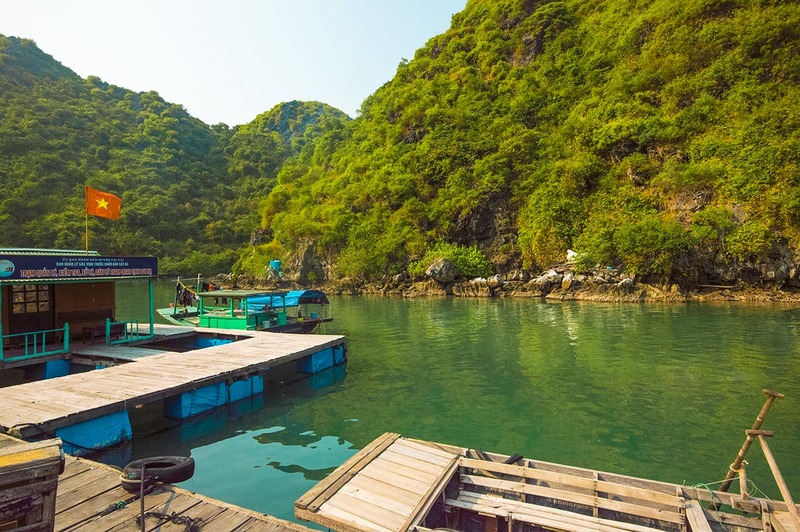 Part two will cover Cat Ong Island and Cat Ba Island including exploring the amazing Cat Ba National Park with Ocean Tours. Love all the pictures and details in sharing your experiences. We are taking notes from your trips. We can’t wait to start our trip to Vietnam soon. Could you please share how do you keep your money/credit cards and other possessions safe while traveling? Did you use/pay with cash only or with credit card? Wow, your photos are amazing!! I didn’t have much luck with weather so I want to go back, maybe on a 2 night trip this time. Halong Bay is so beautiful! wow, very attractive photos, can you tell me which camera you used ? These pictures are BEAUTIFUL! Will definitely add this to my list of places to visit! Wow, amazing experience. The pictures look great. 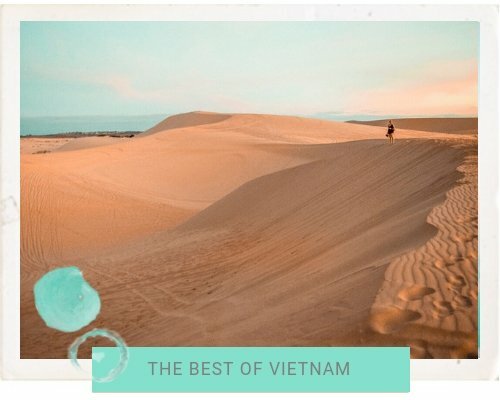 I’m adding Vietnam on my travel list. 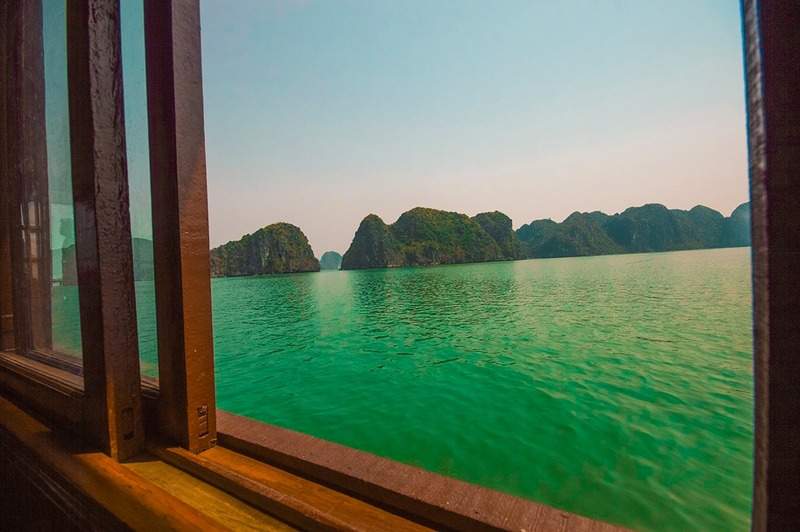 I really want to go to Ha Long Bay, it just looks so beautiful. I think I may do it for my honeymoon next year. If that is the case, I think I will go for the luxury options. Gorgeous pics and the kayaking/swimming must be amazing there!! I would love to get there soon…hope so! How amazing!!! I visiting Halong Bay YEARS ago and fell in love with the place. 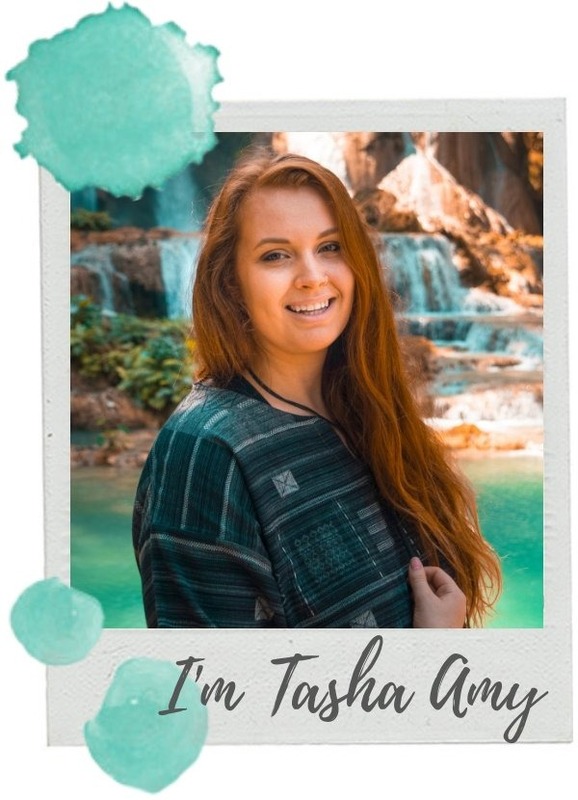 Your trip and photos looks amazing, and has sparked my interest to want to visit again! 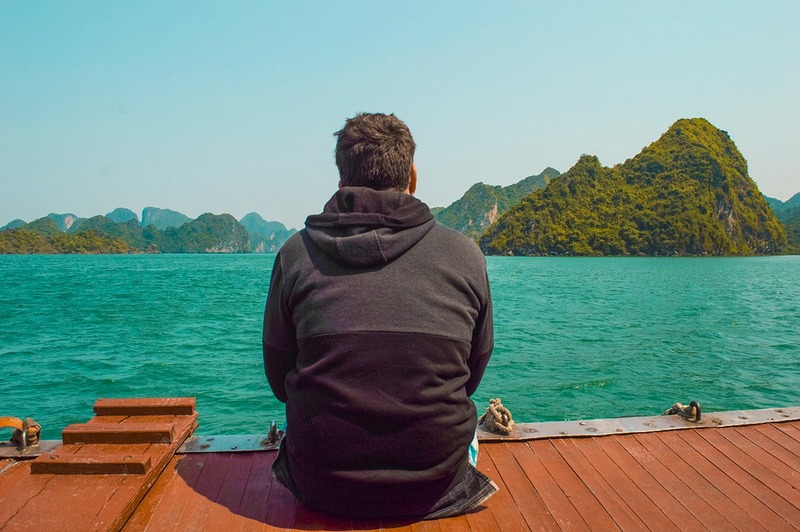 Really interesting reading about your experience as it was similar, but still very different from our own in Ha Long Bay. Looks like you had fab weather for your visit, too! Looking forward to reading part two since we didn’t get to visit those islands when we were there! Your photos are beautiful. Vietnam looks like the place to be. 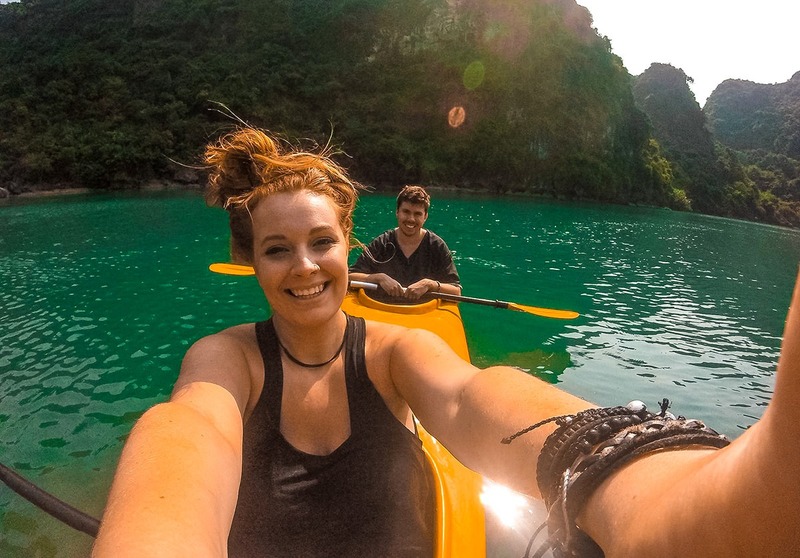 I particularly love the photos from your kayaking activities. Looks like such a thrill. This is one of my favourite places in the world! I love how detailed your post is. Sounds like an amazing time! 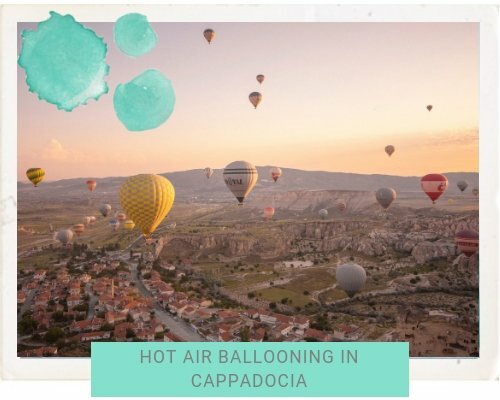 Great photos and sounds like a good company to travel and explore this area. Food pics look so inviting and yum! What an excellent post! I hope to visit one day and take gorgeous photos like you. ah this has been on my list for so long and your pics remind me why! looks simply gorgeous! wow…i am actually planning a trip to hanoi in next month only waiting for my friend’s leave’s approval. 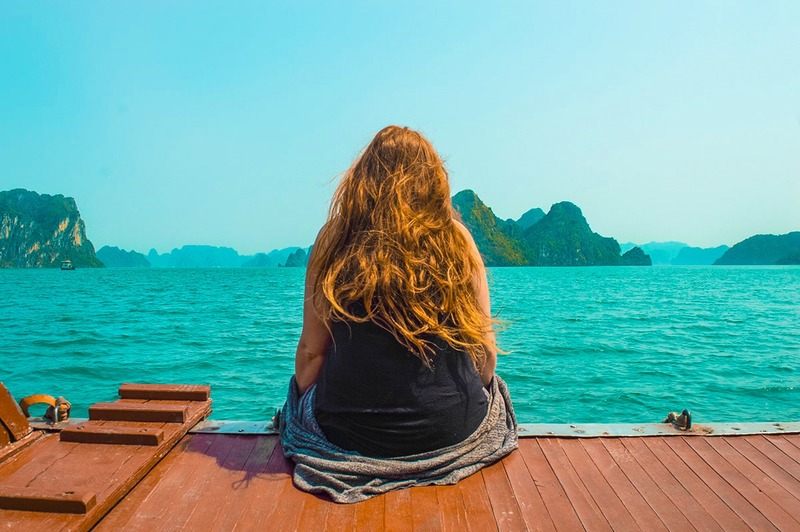 this is the best guide i could have had for my halong bay trip… perfect and btw great photos..
Good to know you can do it on a budget! I have been wanting to go here, it looks beautiful! 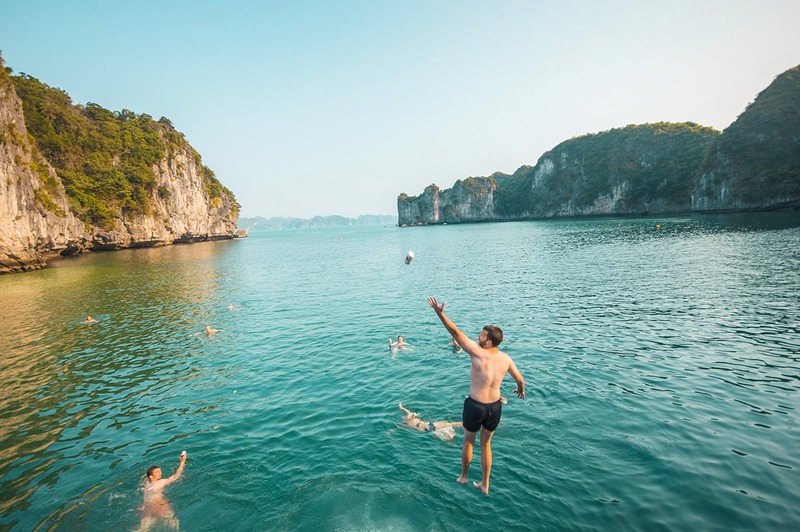 Your post bought back all the memories of Ha Long Bay for me! The kayaking and swimming were highlights. This cocktail cruise looks like a perfect way to explore and I wish I’d got the chance to visit Cat Ong Island. Love your post! I worked in Cat Ba for 2 months and although I could do a tour for free, I didn’t do it. I still regret it all the time when I see pics from Ha Long Bay and surroundings! I regretted not spending a night at Halong and only a day trip which lasted only couple of hours. But the tour operators seriously rip tourists which i feel is bad. I went to atleast 6-7 shops and checked online only then did i book those tours. Nevertheless it was amazing and i cant go to explore the other caves and beaches around that area. Thank you for reminding about my trip with your amazing photos. Sounds like you made the right choice and had a really great time. I really enjoyed the pictures of the food, it looked very yummy! OMG! It looks amazing! 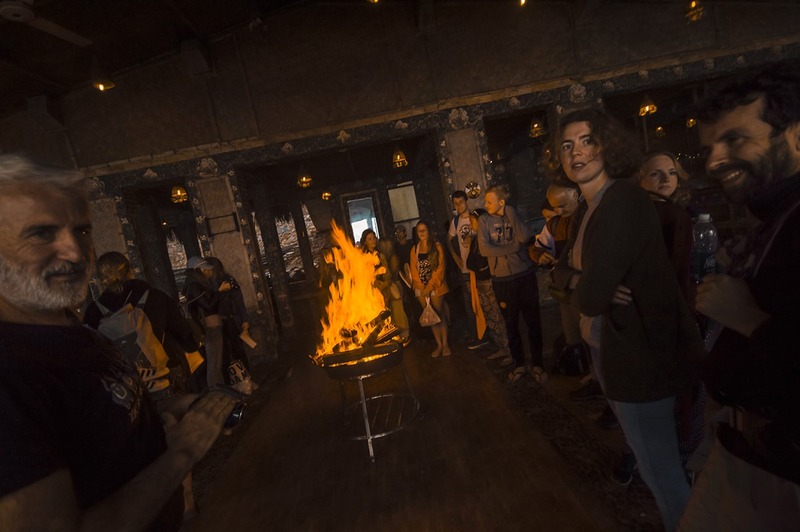 I do not like hostels but you made me want to go to do it and get the hostel experience. I want to do it now!!!!! I remember it was 145$ per night on a fancy boat but now I KNOW!!!! Do you know what is the best season to go? 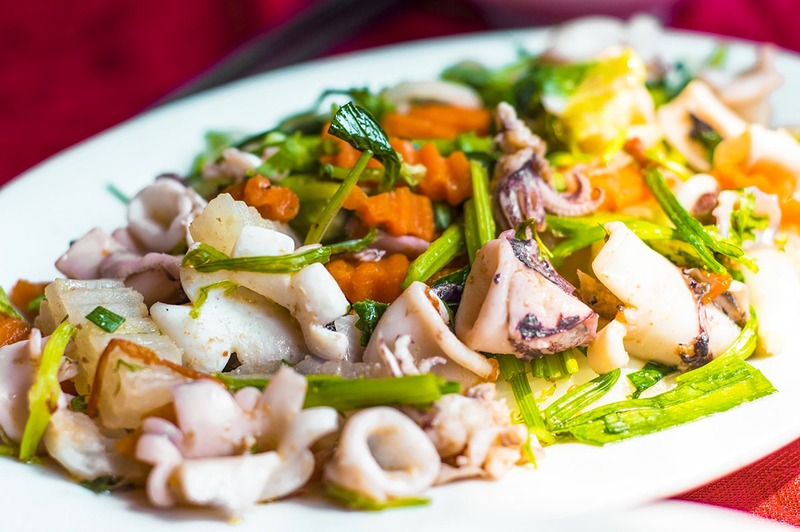 I wish I knew about this when I was in Ha Long Bay! I got SCAMMED and didn’t even get to see the islands but from afar, a typhoon moved in and the weather was horrid. Your pictures of the lagoon are amazing! 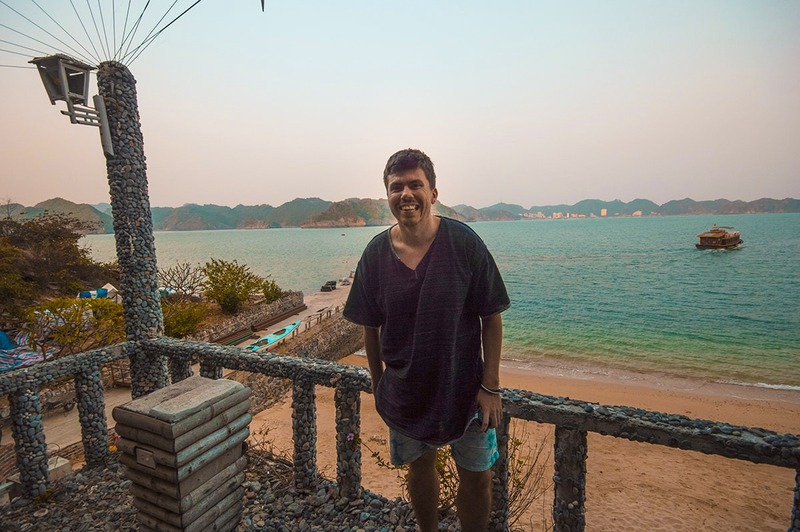 Halong is definitely on our list and this post cleared up a lot of questions for me. 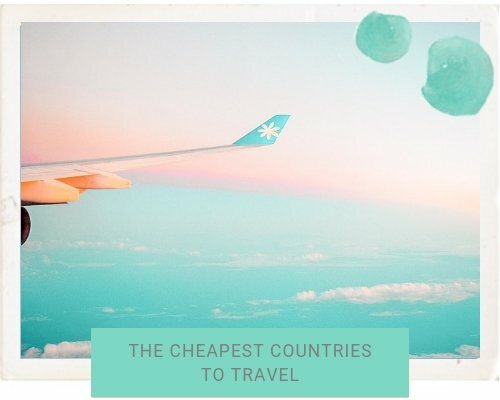 Amazing to know you can do it on a budget! Wow! I did a similar trip a few years ago but my boat was definitely NOT that nice, and it ended up raining a lot of the time…womp. 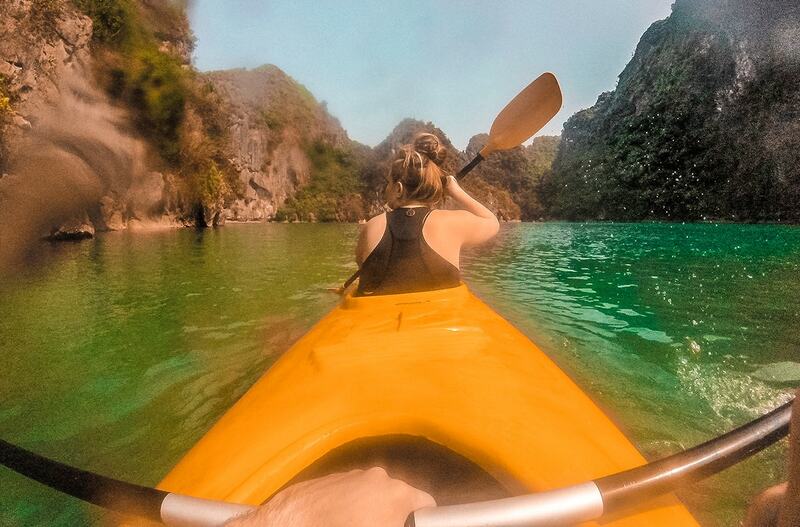 Halong Bay is beautiful though, and it looks like you had an awesome experience. Amazing photos, too!